Title21 Health Solutions Is a "Great Place to Work"
Title21 Health Solutions, ‘Title21’, a provider of Cloud Enterprise Quality Management Systems (EQMS) and Cell and Gene Therapy Software was certified by independent analysts as a ‘Great Place to Work.’ Headquartered in the San Francisco Bay Area, Title21 earned this certification by anonymous employee ratings focused on company culture, work-life balance, communication, benefits and leadership. According to the 2019 Great Place to Work® survey, Title21 employees reported that the company provides many career advancement opportunities and management knows how to effectively lead. Survey responses show that Title21’s Management values employee ideas and offers exciting opportunities for career growth. Title21’s positive work culture also offers fully stocked kitchens, catered lunches, employee celebrations, outdoor walking meetings, paid internships, one-on-one lunches with the CEO, but most importantly, cutting-edge career opportunities in the promising segment of Cellular Therapy and Regenerative Medicine. This dynamic environment prioritizes the well-being of its employees to deliver the company’s mission of improving patient quality and helping to advance curative therapies. “Our company culture is paramount to the excellent technology and outstanding customer service that we deliver to our healthcare customers. Every Title21 employee is passionate about the work and wants to make a difference in improving patient quality, safety and care. When you serve the top healthcare institutions in the nation, excellence is what is expected,” states Lynn Fischer, Co-Founder and CEO of Title21. Companies that make this list are known for having a purpose-driven mission as well as providing employees with great environment and benefits. To learn more about making a difference at Title21 Health Solutions, visit www.title21.com/careers. Title21 Health Solutions is the only end-to-end Enterprise Quality Management, Bone Marrow Transplant, and Cell and Gene Therapy solution that makes a paperless environment possible. Title21 Health Solutions continues to gain national recognition for its innovative technology that the top tier hospitals, biotechnology and regenerative medicine are utilizing to improve quality, efficiency and patient safety. Title21 is also a women-owned, WBENC certified business. Visit the Title21’s Careers Page to join a Great Place to Work, www.title21.com/careers. 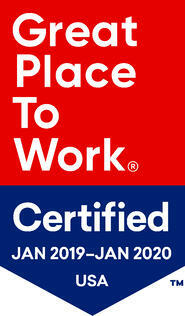 Great Place to Work® is the global authority on high-trust, high-performance workplace cultures. Through proprietary assessment tools, advisory services, and certification programs, including Best Workplaces lists and workplace reviews, Great Place to Work® provides the benchmarks, framework, and expertise needed to create, sustain, and recognize outstanding workplace cultures. In the United States, Great Place to Work® produces the annual Fortune "100 Best Companies to Work For®" list and a series of Great Place to Work® Best Workplaces lists including lists for Millennials, Women, Diversity, Small and Medium Companies and over a half dozen different industry lists. Click here to access a PDF copy of the press release.